Air Force photograph by Tech. Sgt. Scott Johnson Runners registered for the 2018 Air Force Marathon who can no longer participate can transfer their registrations to others soon. 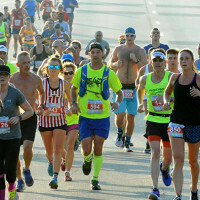 Upwards of 15,000 runners participate annually in various marathon events over three days in September. 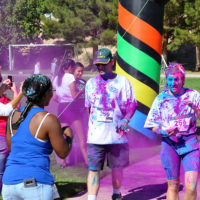 Registration for the 23rd Annual Air Force Marathon opens at midnight Jan…. 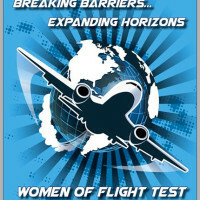 The Flight Test Historical Foundation cordially invites you to attend the 2018 Gathering of Eagles – “Breaking Barriers, Expanding Horizons – Celebrating the Women of Flight Test” The 2018 Eagles are: Dr. Eileen Bjorkman, U.S. Air Force, SES Dr. Sandy Miarecki, Lt. Col., U.S. Air Force retired, Air Force Academy Kelly Latimer, Lt. Col., U.S…. 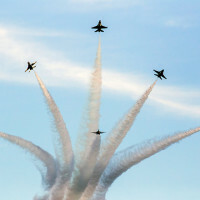 LA County Air Show, featuring the USAF F-22 Raptor Demonstration Team and more! 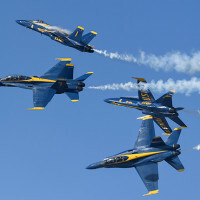 Includes flight line map and information on aerial performances and static displays. Presented by Lockheed Martin at Fox Airfield, Lancaster CA, March 24 & 25 2018.